JPEC Chicago Office is a branch of the Japan Petroleum Energy Center, a Japanese non-profit organization supported by the Japanese petroleum industry and the Japanese Government (METI: Ministry of Economy, Trade and Industry). Our main objective is to support energy-related policymaking in Japan and promote petroleum-related technology information exchanges between Japan and North America. Our Chicago office is conveniently located in the center of the United States, accessible to cities involved in politics (Washington, DC), the petroleum industry (Houston) as well as the auto industry (Detroit). 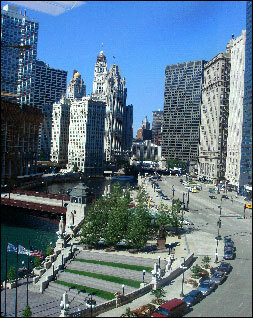 Established in December 2002, the JPEC Chicago Office serves as a research center for the energy arena, providing technical and political information about the petroleum industry, clean fuels (including bio-fuels), emissions regulations, and new technologies. We are in direct contact with U.S. government offices, such as the U.S. Department of Energy (DOE) and the Environmental Protection Agency (EPA), and also with industrial organizations to obtain important information that meets the needs of our members.